Indian weddings are renowned for being extravagant and glamourous…and no guest will ever leave hungry. Your wedding day should represent everything about your love for one another, which is why we ensure everything from table decor to your reception menu is perfectly matched to exceed expectations. As expert wedding planners at Itihaas, we know how important the perfect menu at an Asian wedding is. Which is why we only provide the finest Indian cuisine prepared by our award winning chefs. From appetisers, to a complete menu, we even plan out a special drinks menu for your special day, as an opportunity for a celebratory cocktail should never be missed. 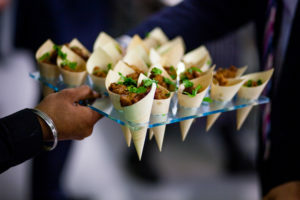 Whether you’re planning a mild or spicy set menu, let us cater for your guests. 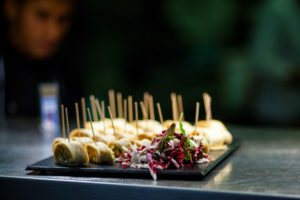 We pull out all the stops for your appetisers to receive excellent first impressions, whether you opt for tangy fish, flavoured with spices in a crisp batter or marinated chicken, salad, garlic mayonnaise and hot chilli in flat bread, we will give your guests an exceptional taste for what is to come. A welcome drink should never be forgotten, it is a way of welcoming your guests in and thanking them for celebrating your special day. By the time the reception comes around, there will be only one thing your guests are waiting for, food…and of course the first dance. 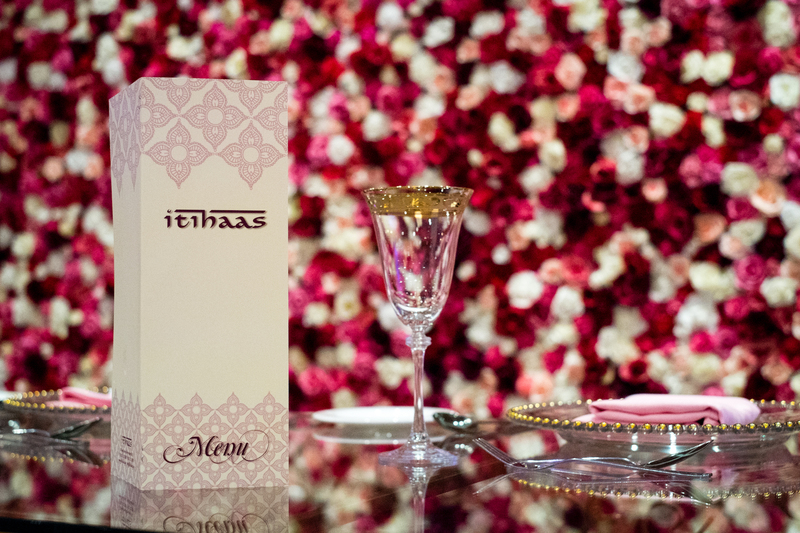 Be as extravagant as you desire with our caterers, so whether you are after 3 courses or 10, Itihaas are here to add the perfect balance of flavours and spice to your big day. We can keep dishes flowing throughout the night, with delicious options like our chicken jungle curry cooked on the bone, our tantalising tempura chicken and paneer in bamboo boats, or a more seafood focused menu with dishes like our lobster paanch phoran and goan prawn curry. We certainly never forget a sweet tooth, which is why we can find you a cake beyond your wildest dreams, after all, it’s all about that wow factor for your very important guests. Not to mention the selection of delicious desserts, from mango colada to gajar halwa cheesecake, let us know what sweet treats you desire and we can cater to you. If you’re looking for excellent Asian wedding caterers to put together your perfect menu, then get in touch with us here at Itihaas today. We make dreams come true and strive to exceed expectations.